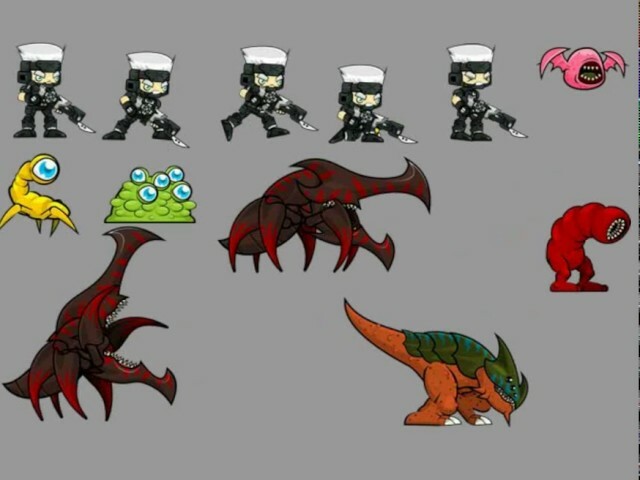 A collection of various characters spritesheets for creating a 2D sidescroller shooter game. Especially for action games with aliens or monster theme. 9 alien enemies: insect, walker, seekers, bats, worm, and slimes.